A princess is locked away in a tower. A price comes to save her. Blah blah blah. But this isn't a normal fairy tale. The princess becomes best friends with the dragon that is tasked with keeping her safe. 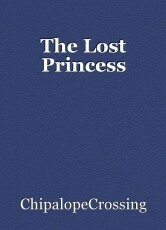 A prince comes to take the princess but to do that he has to kill the dragon. What ensues is a sad tale of love and loss. The prince was excited. His day had finally come. He was about to climb up the steps of the tower when a fiery roar boomed over the castle. Right, he thought, the dragon. He pulled out his sword, ready to conquer the dragon and escape to a life of plenty with a beautiful wife. He smiled at the thought. The dragon appeared over the steps. Immediately, the prince slashed his sword, even though the dragon was too far away. The dragon looked at him, puzzled. The dragon opened his mouth as if to talk. The prince took this as a threatening gesture and lunged forward, slicing the dragons left flank. The dragon howled in pain and took a few dizzying steps backwards. Again, the dragon opened its mouth. This time, it really did look like it was trying to talk. The prince stopped warily. Then, the princess stepped in to view. She was beautiful. Her black hair fell in long braids with glass beads down her back. She had bright green eyes that popped against her smooth skin. The appearance of the princess reminded the prince of his duty. In one powerful lunge, he launched himself at the dragon. In an equally powerful sprint, the princess dove in front of the prince. He drove the blade straight into her heart, killing her instantly. The dragon roared in despair as the princess had been his best friend and only companion over the lonely years he spent trapped in the castle. He stomped the ground in anger and turned towards the prince. The ignorant, brainless prince. The dragon tore his long claws through the prince’s side, tearing him to bits. Now the dragon roams the castle in sadness, thinking lovingly of his lost princess. © Copyright 2019 ChipalopeCrossing. All rights reserved.